The Checker Car Club of America will be having its annual convention in Greenpoint, Brooklyn, this weekend. On Friday, June 20th, there will be over 40 Checkers, some going back to the 1920s, on display at a free public event from 3 p.m. to sunset. On Saturday, for a fee of $25, you can also participate in an assortment of activities intended to rehabilitate your love for the iconic Checker taxicab (remember the jump seats?) 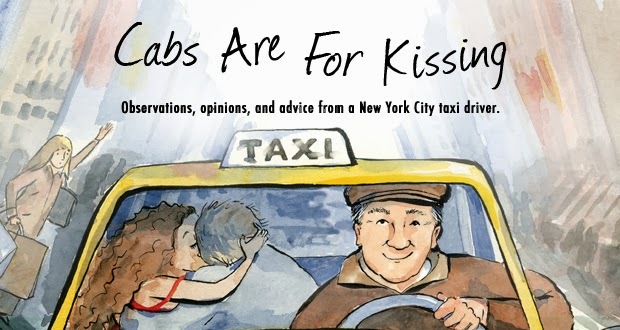 as well as dine at a banquet starting at 7 p.m. where, now hear this, you can get the book Confessions Of A New York Taxi Driver signed by its author and listen to the guy read a story or two from his book. For more information go to www.checker2014.com. If you’re interested in the Saturday events and the banquet, contact George Laszlo, the convention’s director, at 201-206-0990.
p.s. This will be the first time the convention’s going to be held in New York in 20 years. No telling when it will be here again. I will be the guest for the full hour on a weekly show called “The World Of Work” with host Shep Cohen on public radio WDVR FM 89.7, this Friday, June 20th, from 4 to 5 p.m.
WDVR broadcasts in the central and southern parts of New Jersey as well as the Philadelphia area. We’ll be discussing my book, the world of the taxi driver, and God knows what else. For more information about the station and its broadcast range, go to www.wdvrfm.org. I hope you’ll be able to tune in. Should be interesting.